Fortress Cable Rail | International Wood Products, LLC. Fortress has taken cable rail installation to a new level. 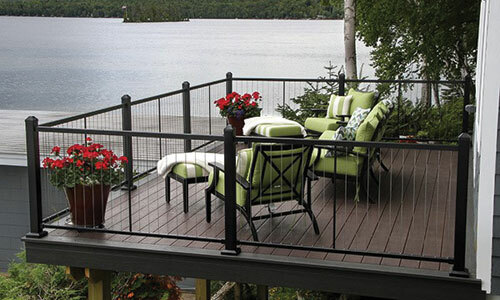 Now its quick and easy with pre-assembled cable railing panels! The V-Series is the first panelized vertical cable railing panel in the industry, and the H-Series offers the traditional look of horizontal cable rail in a simple, pre-assembled panel. Both options hold true to the Fortress legacy of innovation and durability with modern styling, dependable Fortress Iron welded construction and stainless steel cable and components. Tools & Replacement Parts are Available!